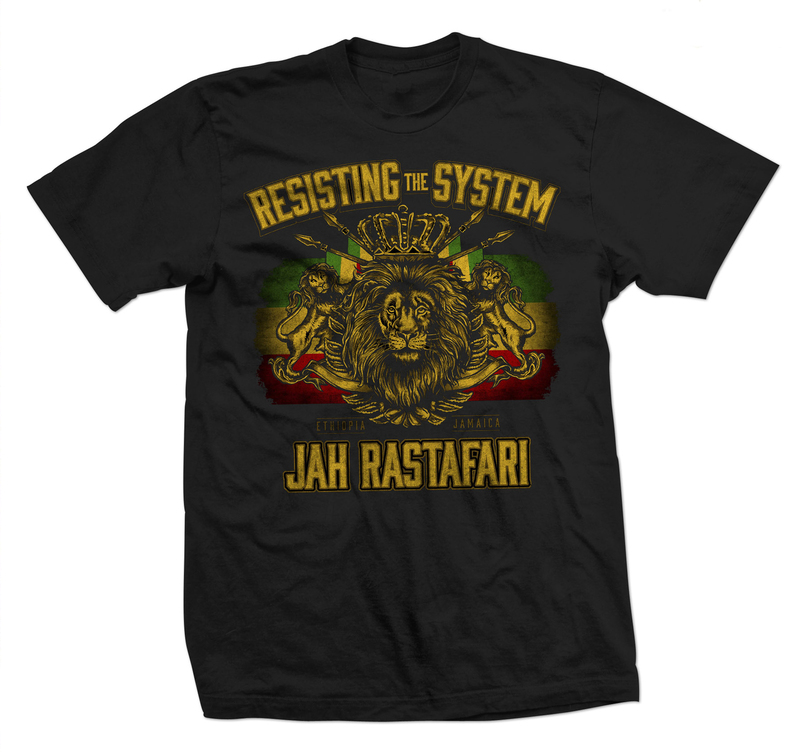 This black t-shirt features Resisting the System with a crowned lion face flanked by another lion on either side in the center and Rasta stripes in the background. 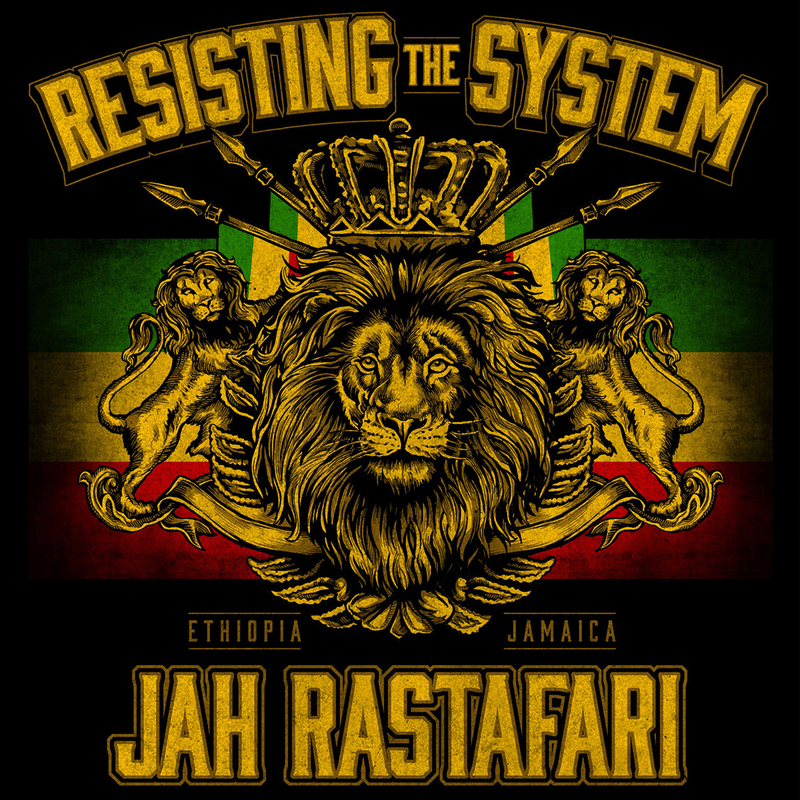 Printed below is small gold letters is Ethiopia and Jamaica with Jah Rastafari in larger gold print. This design has a distressed look throughout. 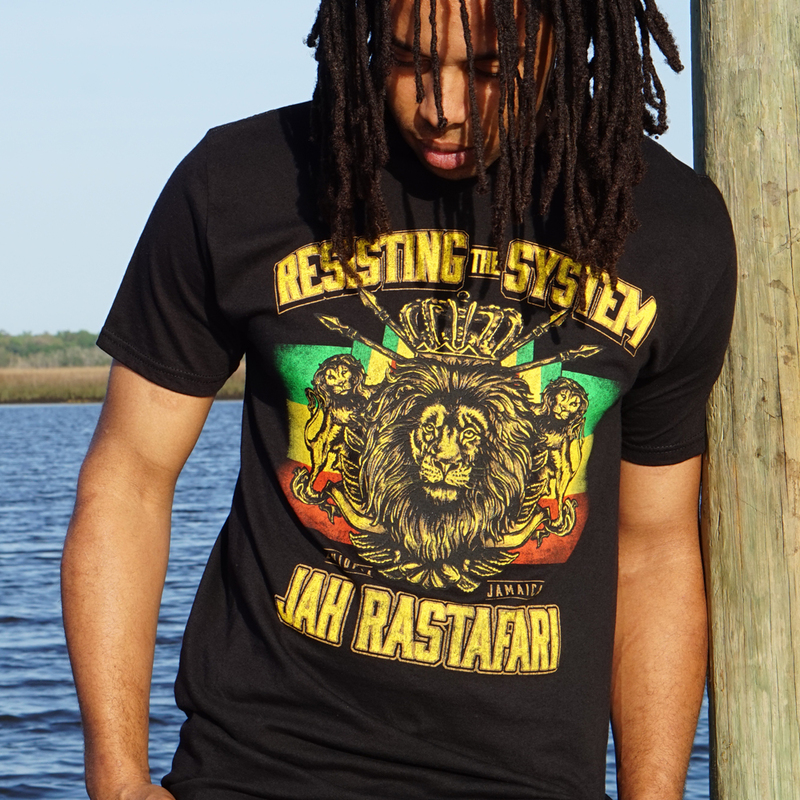 Made of 100% soft 22 single cotton and is an Original RastaEmpire design.